Non-structural/Architectural Repairs: Due to impact of the earthquake, the buildings has to suffer from both non-structural and structural damages. Repairs to non-structural elements comprise of the damages to civil and electrical items along with the services in the building. Repairs to non-structural elements should be initiated once the structural repairs and retrofitting work are accomplished. There should be proper attention concerning the connection details of architectural elements to the main structural elements to retain their strength. Because of the effect of the earthquake, non-structural and architectural elements are displaced. 8. Redecoration – whitewashing, painting, etc. 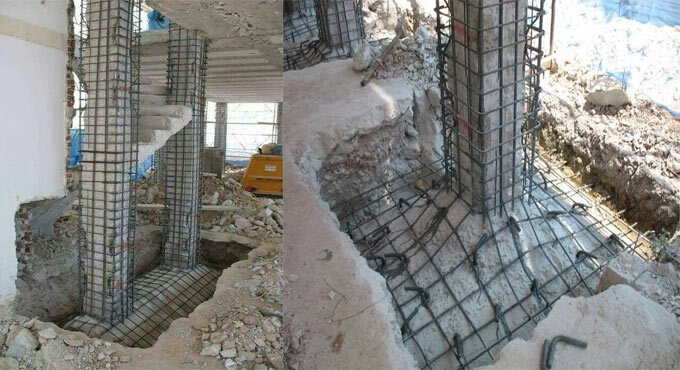 The architectural repairs mentioned above do not revive the fundamental structural strength of structural elements in the building and if the repairing works are executed only on architectural/non-structural elements, overlooking the necessary structural repairs, the security of the building may be in danger. The impact of damage becomes extreme in case of the building being disturbed with similar shock as original energy absorption strength of the building would have been decreased.